A majority of people think their ears are too big, but they may simply just be sticking out. This is better known as “prominent or protruding ears” and in severe cases as “children’s dumbo ears.” This can easily be solved by making the ears better balanced and more proportionate to the face. Otoplasty can be performed on adults and infants alike, as long as the child’s ears are fully developed. 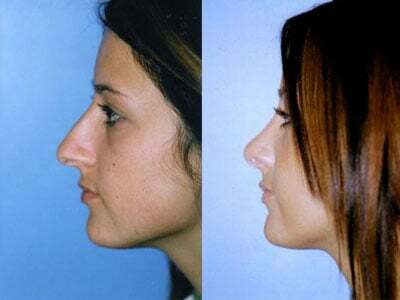 Otoplasty is a corrective procedure that improves the shape and size of the ear, dating back to 5th century BC. 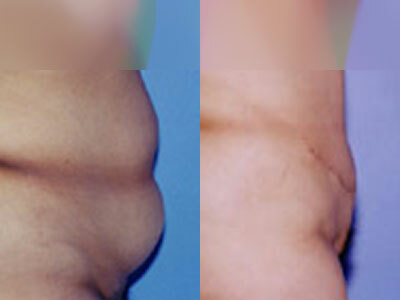 Enhancement may be achieved through both surgical and non-surgical procedures. Other than cosmetic appearance, Otoplasty procedures can also add structure to necessary parts of the ear. Ear deformities may come as a result of an injury or present themselves from birth. No matter the case, Otoplasty can reposition and shape disproportional ears, returning them to a more natural-looking shape. The immense psychological benefit you receive from corrective surgery is a great example of how plastic surgery can have a positive impact on your life. This is especially true for children since they are easy targets, often subjected to teasing, joking, and derogatory nicknames. Childhood taunting is unfortunately all too well known. The surgery can be performed around age five prior to entering school so that the potential psychological trauma can be avoided. For adults, it can be performed at any time. The concha, or middle portion of the ear, presents itself as either immoderately wide (greater than 25 degrees) or especially deep. Some people may experience both in their case. An abnormality of the top third portion of the external ear. This occurs when the antihelix, or top fold of the ear, does not naturally curve. In this case it appears as though the ear is sticking out away from the head. True to it’s name, this prominent ear is due to an enlargement of the bottom third of the ear, or the earlobe. The shape of the ear is cupped due to the outer rim of the ear being abnormally tight or constricted, causing it to curl forward. The outer ear is disproportionately large. Besides the fact of enlargement, it is ultimately normal. In the case of Cryptotic Ear, the external portion of the ear is buried below the skin. This is due to the rim of the ear being hidden underneath the scalp. A abnormal point that presents itself at the very top of the ear, much like an elfin ear. Stahl’s Ear Deformity is caused by an extra part in the top rim. Much like the shape of a question mark ( ? ), the upper region of the ear angles outward. 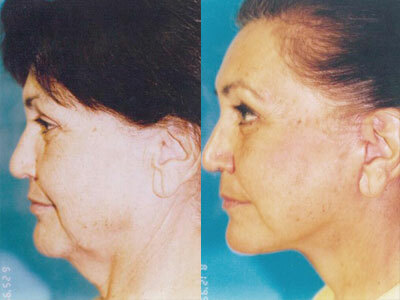 There are hundreds of procedures for correcting misshapen ears. They all fall into one of three categories. Procedures that correct the angle of projection of the ear entirely by permanent suturing. The structure of the ear remains undisturbed. A suture (stitch) is inserted into the cartilage at a right angle with the use of a needle. A desirable angle is reached and then sutures are continued along the ear in order to maintain that new angle. An incision-free technique was created by Michael H. Frich in the 1990’s. Skin-traversing retention sutures are attached from the ear to the head, repositioning the ear to the desired projection. Procedures that consist of the removal of excess cartilage from the support structure of the outer ear. This allows for the pliable ear the be molded to the desired shape, position, and/or angle. Procedures that consist of removing portions of cartilage in order to reduce the degree of separation between the ear and the head. During your consultation is the time to bring up any questions or concerns about prepping for your procedure, the procedure itself, or the care following. The goal is for Dr. Hervé Gentile and his staff to put your mind at ease prior to scheduling your surgery. In order to be able to provide the best results, let us know the exact look and shape you want for your ears. We will perform a thorough examination, and taking into consideration your aesthetic goals, we will come up with the best solution for you. Pricing questions can be answered at this time. Medications may be prescribed to you. Take as instructed. Wear appropriate, loose-fitting clothing to surgery. The approach that Dr. Gentile uses involves reshaping and removing some of the cartilage through an incision concealed behind the ear. A new ear fold is created and this pulls back the ear against the head. The resulting scar is hidden in a natural skin fold behind the ear and fades with time, ultimately becoming invisible. Below are a list of different Otoplasty techniques. Although there are many different approaches, we may not deem some fit depending on the specific patient. We can discuss which technique would best suite you during your consultation. Suturing of cartilage: Sutures are used as a means to create tension to enhance the appearance of the upper ear fold. Stenstrom technique of anterior abrasion: The surface of the ear is roughened by abrasion. The intent is to force the ear to bend away from the roughened skin into the direction that is desired. Full-thickness incisions: Tubing is placed in an incision made on the rim of the ear. This is meant to shape the ear into a more natural curve. Suturing: The angle of the concha (middle ear) is reduced by sutures attached from the ear to the head. Conchal excision: Cartilage is removed from the surface level of the concha to decrease its elevation. It is removed in a crescent-like shape in order to follow the natural shape of the ear to minimize visible scarring. Combination technique: If seen fit, both techniques of suturing and conchal excision may be used in your specific case. With an Ear Pin-Back, the protrusion of the ear is reduced by removing excess skin, pulling the ear back to the desired angle, and suturing it back to the head. Minimal scarring occurs because suturing is done in the natural crease behind the ear. Either one or multiple parts of the ear can be reduced in size. Sutures are carefully placed in order to minimize scarring. If the ear is too small, whether from underdeveloped or complete lack of structure of the outer ear, cartilage can be added. The cartilage is typically retrieved from the ear itself or the rib. Custom splints are fastened to the outer ear in order to correct the misshaping. The splint material varies, and the procedure itself is non-invasive. Since infant’s ears are highly malleable, taping is a great solution to correct deformed ears early on. If continually applied, the tape will flatten the look of protruding ears. If the deformity is severe, an alternative method may be required. This procedure requires minimally-invasive surgery. Depending on how many the doctor sees fit, implants are inserted into the ear to reshape them to a normal curvature. Ear Buddies requires splints to be attached to the infant’s ears with adhesive tape. The splints will direct the growth and curvature of the exterior ear to the desired shape. The inner ear is not affected through this process. Age will determine how long the splints will need to be worn. Cartilage is manipulated by means of mechanical molding. The infant’s malleable ears will re-form to the shape of the device to achieve a normal contour. The procedure takes about one hour. After surgery, Dr. Gentile will cover the ears with dressing for 2-3 days to prevent fluid accumulation and maintain the new position of the ears. The dressing is then changed to a headband. Most patients are up and around within a day and can go back to work typically in a few days. However, strenuous activities and contact sports must be avoided for 6 weeks. Any other questions you may have about recovery can be answered during your consultation. The cost is all inclusive and starts at $3,850 if you have the procedure done under local anesthesia. Dr. Hervé Gentile can address any additional questions about cost during your consultation.